Introducing GoCatch Rewards. Our simple, convenient loyalty programme that gives you genuine value. Earn and redeem GoCoins with GoCatch Rewards, or become a GoCatch VIP member and discover a world of possibilities. 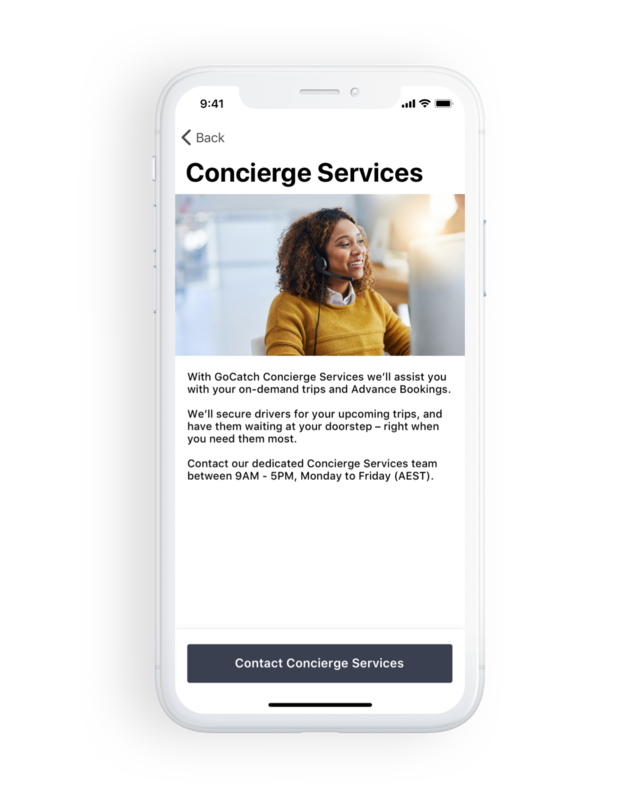 Every on-demand trip and Advance Booking you take with GoCatch now earns you GoCoins, which are redeemable in the GoCatch Rewards Shop. 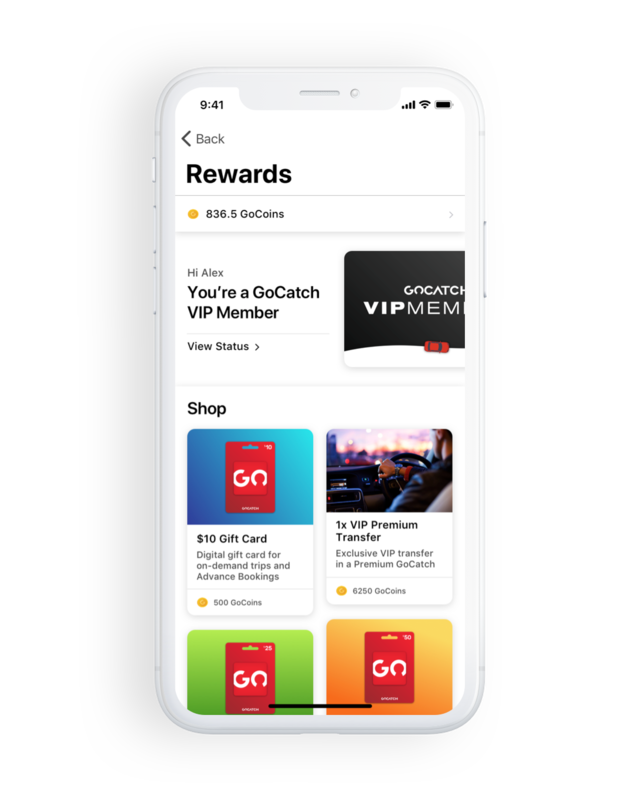 GoCoins can be redeemed through the GoCatch Rewards shop in-app for digital gift cards (GoCatch credit), VIP Premium Transfers and more. GoCoins are up to twice as valuable as airline points, as measured by Choice Magazine. Every GoCoin gets you 2c back per $1 spent through GoCatch. 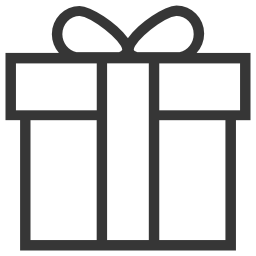 GoCoins are not points – which means they don’t expire. 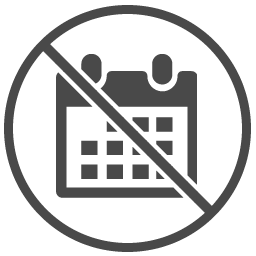 Don’t worry about expiration deadlines or having to make purchases for items you don’t really want. It’s convenient and easy to redeem your GoCoins. 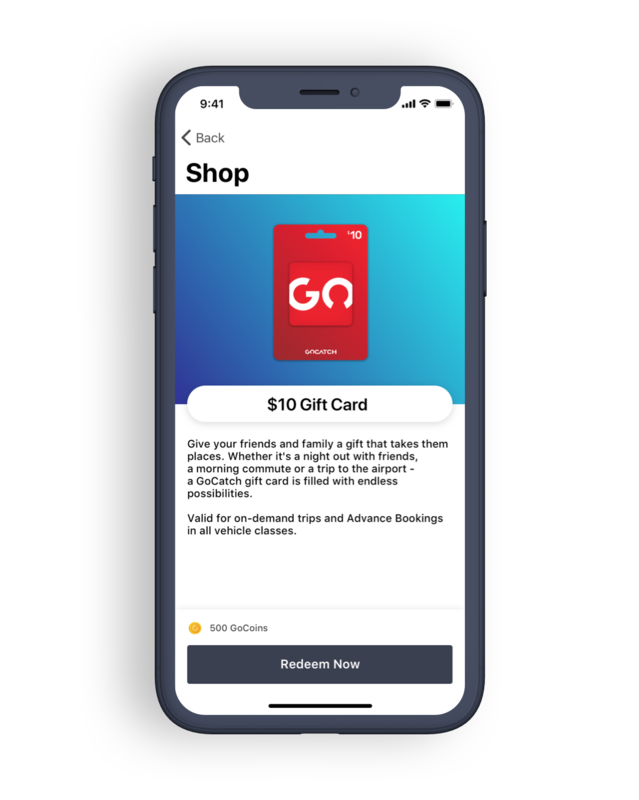 Simply purchase a GoCatch digital gift card within the app with your GoCoin balance and take a trip. Every personal or business trip you take will earn GoCoins, which you can easily transfer to family or friends – giving you the ability to share your free rides and rewards. 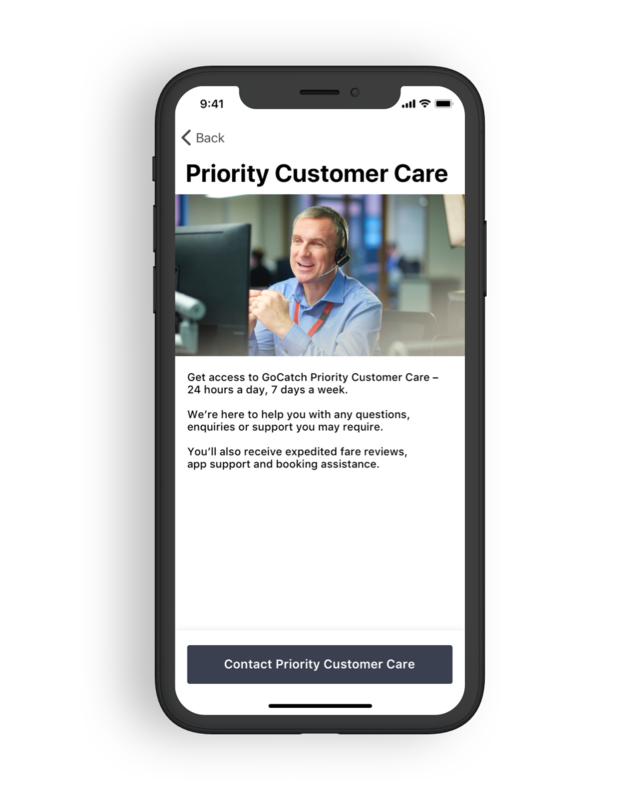 GoCatch Members receive exclusive benefits and offers, such as complimentary Premium Transfers, Priority Customer Care, Concierge Booking Services and much more. 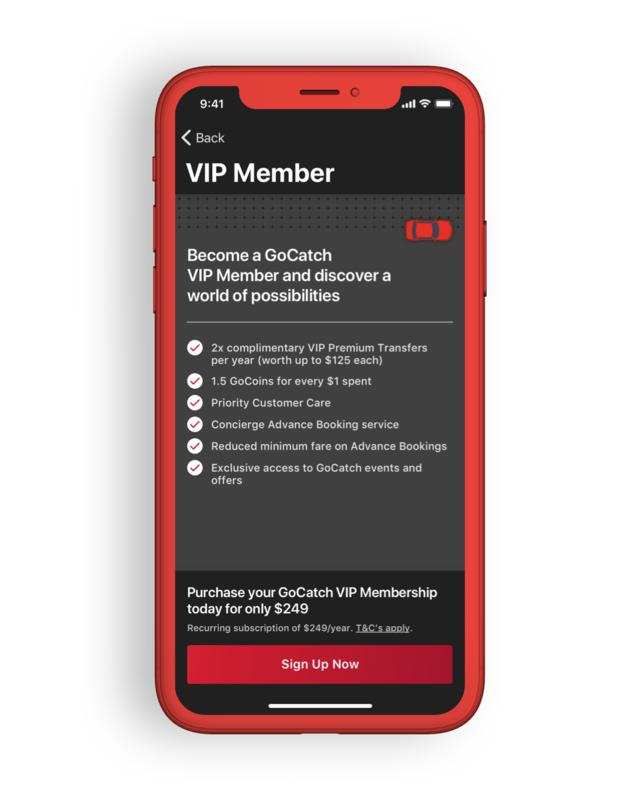 Become a GoCatch member today to start earning and redeeming even more GoCoins, and discover a world of possibilities with exclusive membership benefits. 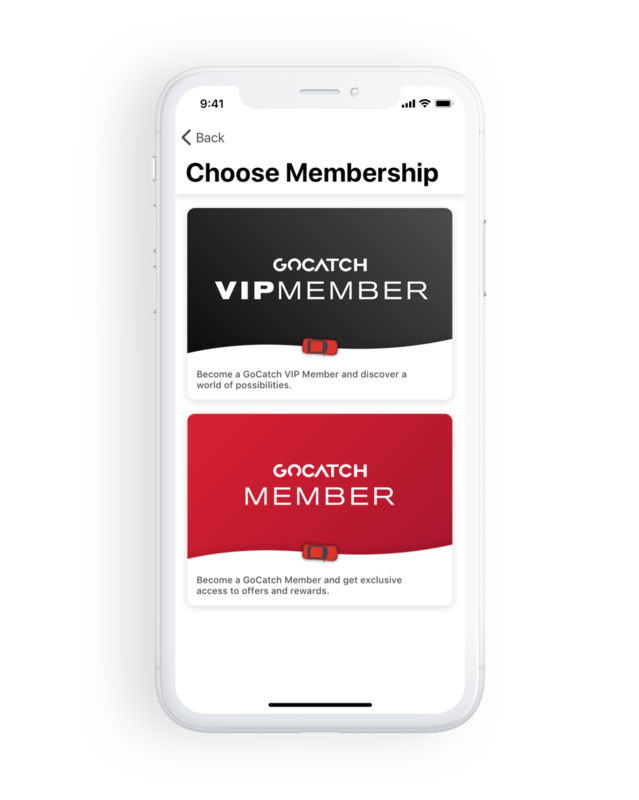 Become a GoCatch Member today! Simply download the app, sign up or log in, and tap Menu > Rewards.